The deadline for the second round of the Digital Immersion Project is just a little less than two weeks away (February 18, so apply today! ), and the team at PBS Digital & Marketing is constantly refreshing SurveyMonkey looking for new applicants that want to participate. While this post serves as a reminder that the deadline to apply is approaching, it also serves as a way to share why this project can have incredible impact regardless of how big or small your role in digital is at your station. Now in its second year, this professional development project has quickly become one of our most effective educational programs for stations. The immersive event, the extended training time, and the collaborative curriculum are all built to improve digital and multiplatform knowledge and execution at stations. 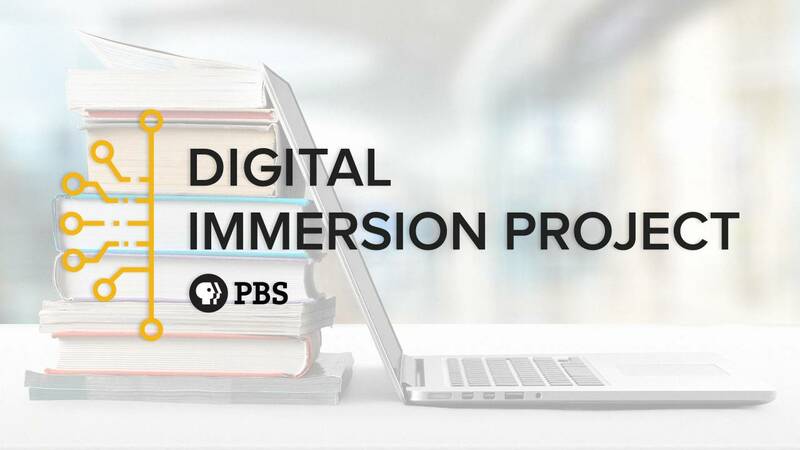 If you missed the original announcement, you can find it here: http://digital2.bento-live.pbs.org/blogs/spi-blog/2018/01/19/announcing-the-2018-digital-immersion-project/ with details about the curriculum and activities. Thanks to CPB, we are able to offer it again, doubling the number of station professionals it reaches (now at 50) and expanding the project timeline (now at one year). That means there are more slots available for our amazing colleagues, and a longer window to develop the critical skills and knowledge necessary for multiplatform success at the local level. Considering we received over 90 applications last year for only 25 slots, the second round of the Digital Immersion Project has the potential to reach a large number of stations. But it all starts with you… and this application link: https://www.surveymonkey.com/r/digitalimmersion2018. The Digital Immersion Project has always been designed to impact an entire station, to expand its understanding of digital tools, concepts, and processes, and focus that knowledge to deliver on our missions. Beyond the stations steadfastly serving local communities, public media is also about the individuals dedicating their time and energy because they believe in the work we do and the impact we can have. So, the Digital Immersion Project was also designed to funnel this important digital-skill development through that individual to spread it to the station. Since the project started last year, we have been regularly posting stories from the Partners that participated in the first round (you can read them all here). When you scroll through the headlines, you can see the goals each station tackled, from content distribution (KCPT Builds A Digital Production Life Cycle) and social engagement (WVIA advances social media impact and value) to data-driven decision making (WGCU focuses on the value of digital with data) and digital-first content (WMHT uses the Digital Measurement Model to create a digital series). All of these stories detail the successes of the individual participants, but they also talk about how the project brought many areas of the stations together and will continue to have impact. Read through these stories. Take a look at the work these stations are doing. Think about the challenge you want to take on to help your station become more successful. Then, follow this link, https://www.surveymonkey.com/r/digitalimmersion2018, and apply to be part of the Digital Immersion Project. We look forward to partnering with you! If you have any questions, don’t hesitate to reach out to dip@pbs.org.